With a Shooting Gazette subscription you’ll have access to all this information and more at your fingertips with a magazine hiding more gems than a bushful of grouse. 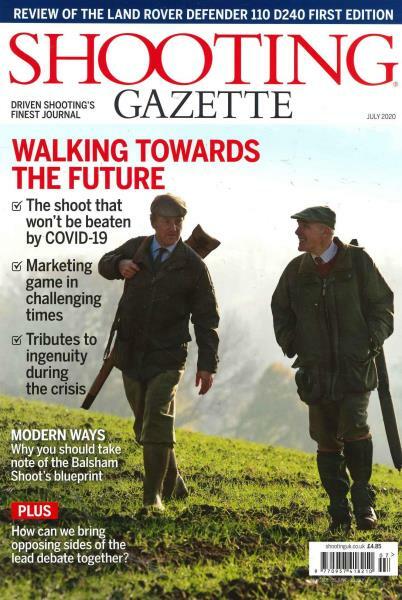 There is no finer source of advice on driven shooting than Shooting Gazette. From the best way to hold dead game to becoming a dead-eye with your weapon of choice it is the only publication you’ll trust with your shooting technique. It has been said that it’s not what you know but who. Having said that, if you don’t know enough to hold a conversation with those individuals then there’s probably not much point knowing them. An example of this might be found in the field where knowledge of the most traditional of sporting pursuits demands that you aren’t in the dark on important matters such as the best guns, shooting grounds, techniques and post shoot watering holes are vital. With a Shooting Gazette subscription you’ll have access to all this information and more at your fingertips with a magazine hiding more gems than a bushful of grouse. Shooting gazette also frequently devotes pages to the care and training of gundogs – that most able of companion on any shoot.